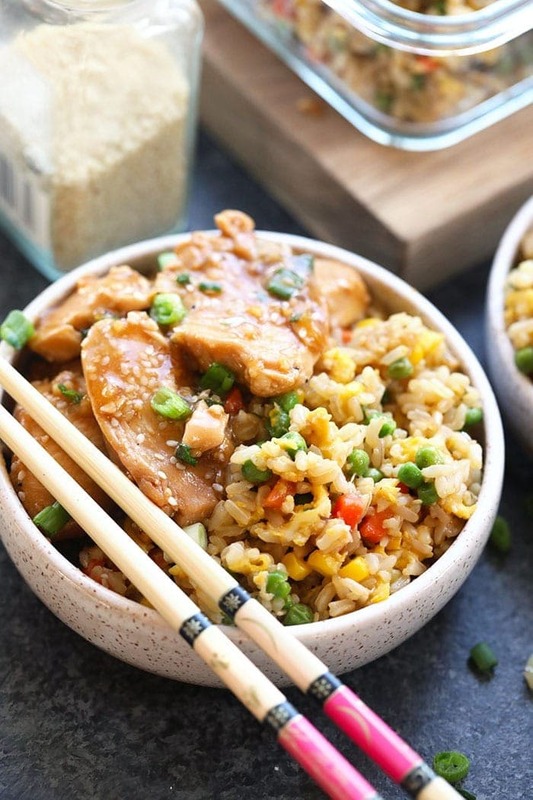 This healthy fried rice recipe is quick, easy and made completely in the Instant Pot! 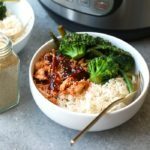 The perfect combination of veggies, brown rice, eggs, veggie broth and soy sauce makes for the savory fried rice flavor you love without all those added fillers. 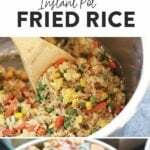 Jazz up your dinner with this Instant Pot Healthy Fried Rice today! Where are my fried rice lovers at?! If I’m at an Asian restaurant, you will always always always find me ordering a side of fried rice, especially if they have a veggie fried rice option. And while most takeout fried rice has me guzzling water by the Nalgene for what seems like days after, I still absolutely love the savory flavor combination of veggies, rice and eggs tossed together to perfection. + those little crunchy rice morsels you sometimes luck out and get? Sheesh, can’t get enough. Although this recipe has 9 steps, we promise you it’s not complicated or time-consuming. While your rice is cooking, you’ll be prepping the rest of the recipe, which means the 45 min. 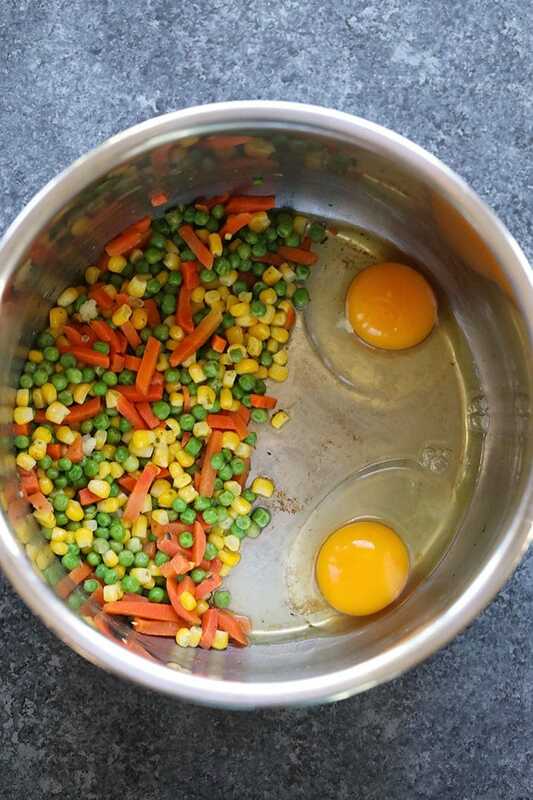 of TOTAL cook time (that includes cooking the rice, cooking the veggies, cooking the eggs and mixing it all up together!) is all you’ll need to whip this up. 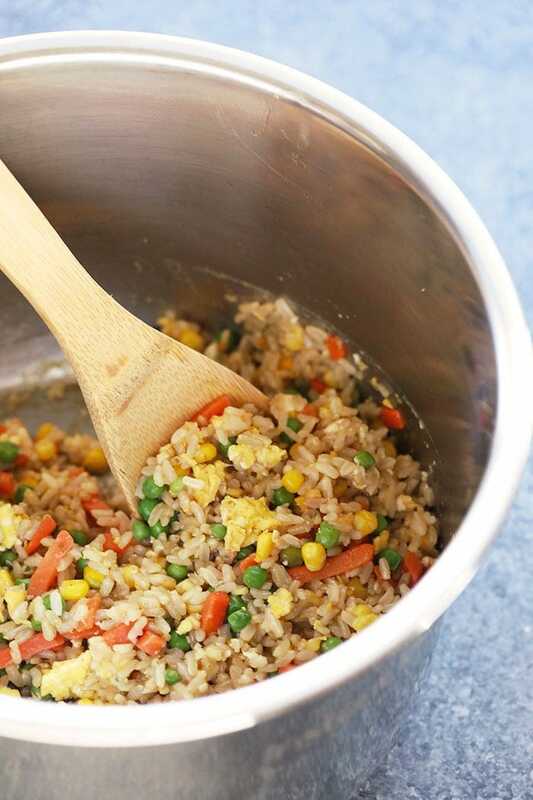 And leaves you with the most delicious healthy fried rice. Step 1: First, add 1 teaspoon of olive oil to the bottom of your Instant Pot. Make sure the bottom of pot, as well as the sides, are covered with olive oil. Step 2: Add your rice and broth to the Instant Pot. Cover and seal your Instant Pot, and cook your rice for 26 minutes on high pressure. Step 3: While your brown rice is cooking, add all ingredients for the fried rice sauce to a mason jar and shake until ingredients are combined. If you don’t have a jar with a tight lid, feel free to whisk together in a bowl until your ingredients are fully combined. Set the fried rice sauce aside. Step 4: When your rice is done, natural release the pressure for 11 minutes. Step 5: Remove the rice from your Instant Pot and make sure there is no rice left in the bottom of the pot. Place your rice in a bowl (pro tip: you can use the same bowl for your rice in this step as you do to serve your fried rice family style at the table). Step 6: Next, add 2 tablespoons of olive oil to the Instant Pot and turn on sauté feature. Add your vegetables and cook for 2-3 minutes. 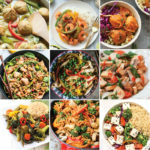 We love using frozen vegetable mix for this recipe, and while any frozen veggie mix will do, Trader Joe’s has a great selection of bagged frozen veggie mixes to choose from. Step 7: Once your vegetables are cooked, push aside the veggies to one half of the Instant Pot. Crack 2 eggs into the other half of the Instant Pot and cook eggs until they form medium-sized scrambled egg curds, making sure to stir frequently. Step 8: Add your rice and fried rice sauce to the Instant Pot and fold ingredients together. 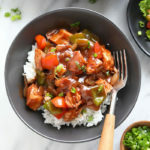 Cook everything together in the pot for 2-3 minutes. Step 9: Garnish with fresh green onions and enjoy! 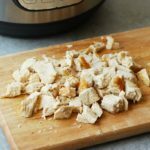 What are the Benefits of an Instant Pot? ^^ And that’s just to name a few! All in one pot. Did I mention you’ll be able to make steel cut oats in 10-minutes AND homemade mac and cheese in 5-minutes?! 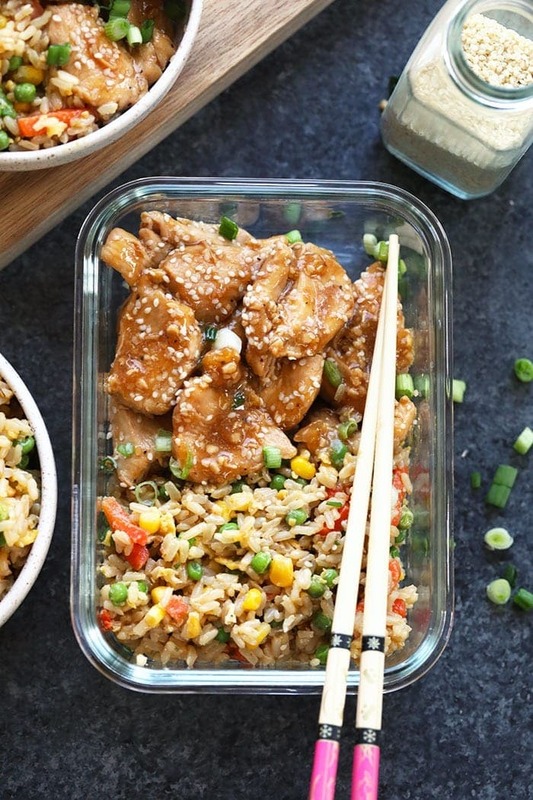 This healthy fried rice recipe is quick, easy and made completely in the Instant Pot! 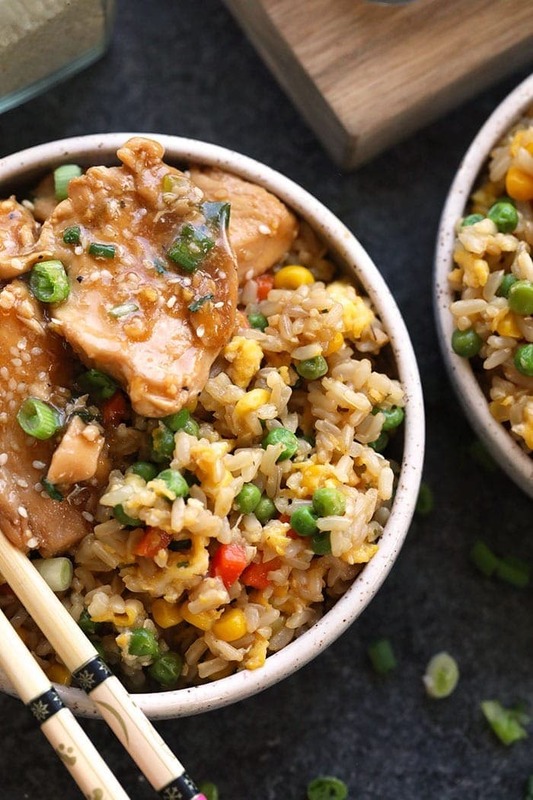 The perfect combination of veggies, brown rice, eggs, veggie broth and soy sauce makes for the savory fried rice flavor you love without all those added fillers. 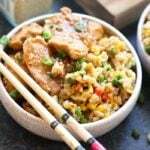 Jazz up your dinner with this Healthy Instant Pot Fried Rice today! First, add 1 teaspoon of olive oil to the bottom of the Instant Pot. Make sure the bottom of pot (as well as the sides) are covered with olive oil. Add rice and broth to the Instant Pot, cover, seal and cook rice for 26 minutes on high pressure. While rice is cooking, add all ingredients for the fried rice sauce to a mason jar and shake until ingredients are combined. Set aside. When rice is done, natural release pressure for 11 minutes. Remove rice from the Instant Pot and make sure there is no rice left in the bottom of the pot. Next, add 2 tablespoons of olive oil to the Instant Pot and turn on saute feature. Add vegetables and cook for 2-3 minutes. 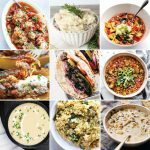 Push aside the vegetables to one half of the Instant Pot. Crack 2 eggs into the other half of the Instant Pot and cook eggs until they form medium-sized scrambled egg curds, stirring frequently. 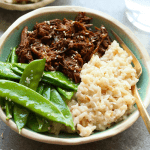 Add rice and fried rice sauce to the Instant Pot and fold ingredients together. Cook everything together in the pot for 2-3 minutes. Garnish with fresh green onions and enjoy!